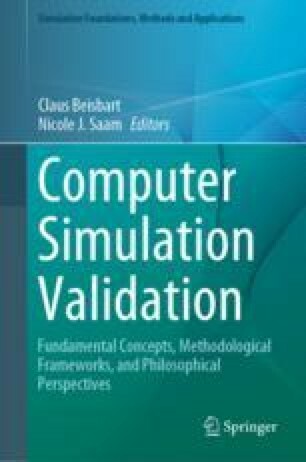 Quantitative model validation is playing an increasingly important role in performance and reliability assessment of a complicated system whenever simulation is involved. This chapter discusses model validation from a Bayesian perspective, considering in particular data uncertainty. First, Bayes’ theorem is defined, then the Bayesian risk rule method is introduced. Explicit expressions for the Bayesian interval hypothesis testing approach are presented in both univariate and multivariate cases. The problem of non-normal validation data is addressed by the Box–Cox transformation. A generalized procedure is presented to implement Bayesian validation methods. Classic hypothesis testing method is utilized to conduct a comparison study. The impact of the data normality assumption and of the variation of the threshold on model assessment accuracy is investigated by using both classical and Bayesian approaches. The Bayesian methodology is illustrated with a reliability model of rotor blades, a univariate stochastic damage accumulation model, and a multivariate heat conduction problem. NIST/SEMATECH (2005). e-Handbook of statistical methods, National Institute of Standards and Technology. Retrieved from http://www.itl.nist.gov/div898/handbook. Nowak, R., & Scott, C. (2004). The Bayes risk criterion in hypothesis testing. Connexions, Retrieved from http://cnx.rice.edu/content/m11533/1.6/.